When it comes to the holidays, there are a few staples that we have to adhere to: blaring songs on the radio, putting up decorations, watching movies, and drinking hot chocolate. No film personifies these staples like The Polar Express. Robert Zimeckis’ film is a joyful adventure asking us to keep believing in age old traditions, keeping the wonder of the season inside ourselves despite having outgrown some of the more childish aspects of celebrations. 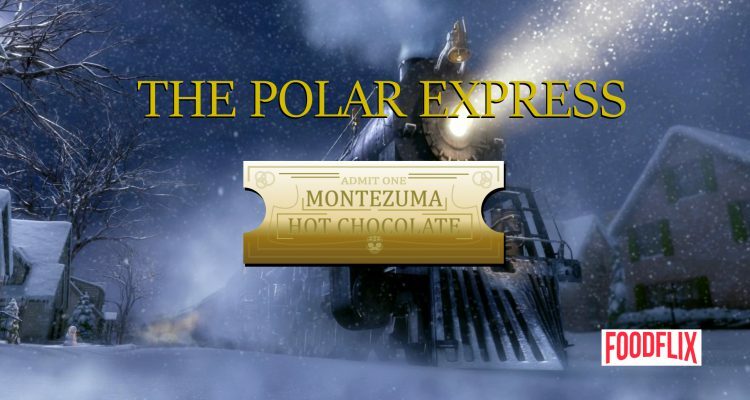 However, The Polar Express does keep us in a state of childish wonder with their hot chocolate scene; which is why we’re writing this. Now, while the dancing, singing, and synchronized pouring of hot chocolate will get just about anyone craving a cup of the sweet, chocolaty goodness, we were more interested in the musings of one of the supporting characters, the Know It All’s unique insight into Aztec culture. 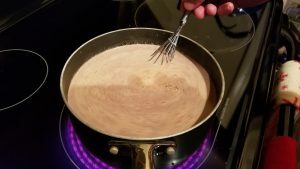 Specifically, we wanted to make the Montezuma Hot Chocolate. Thick, rich, dark, spicy mud. It sounds delicious. And we devised a recipe to emulate the description of this godly brew. For starters, pour the heavy cream and the half and half into a medium pot and bring to a simmer. Add the condensed milk, vanilla, salt, cinnamon, chili powder, and cocoa powder and whisk until well-incorporated. The whisking will aerate the mixture, making it thicker and more luxurious while you sip. Once everything is mixed add the morsels. Whisk this in until the contents of the pot are smooth and velvety. The texture should be thick, the taste should be less sweet and more spicy. This is best served with whipped cream on top, avoiding the marshmallows. 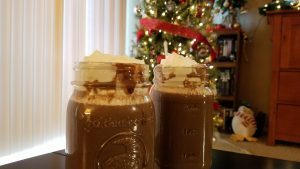 The whipped cream will help to sweeten the hot chocolate for a well-balanced sip. Montezuma knew his hot chocolate, and now so do you. Hopefully the know it all kid will leave us alone on the ride to the north pole, but if he doesn’t, at least this drink will help us unwind in a very Christmasy way.